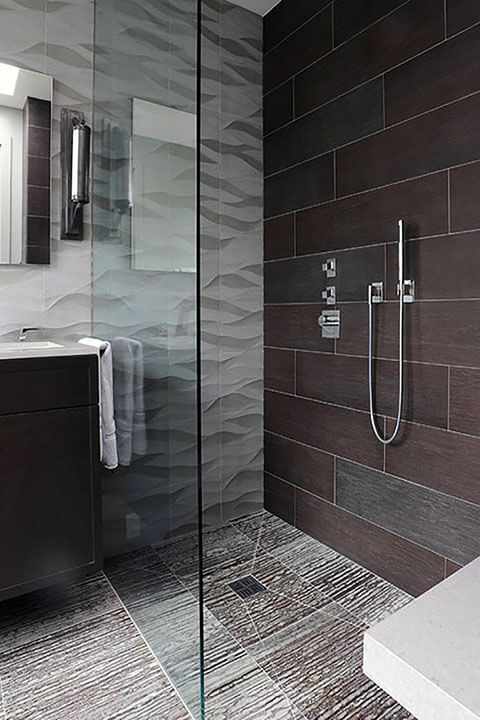 Slate has seen rising popularity in recent years due to the unique texture and vibrant colors it offers at a more economical price compared to granite. Slate provides a luxury aesthetic with a multitude of options and colors that will definitely meet any design style and preference for any home. It offers a rich color palette to fine grains that can provide an accent to any decor or design setting from contemporary, modern, traditional and even rustic. Slate tile is metamorphic rock that is formed from compressed pressure of minerals and sediments over time and becomes a stone. That is what makes the appeal of Slate so popular with it being the natural look of rock formed from pressure over time. The manufacturing process of Slate tile and it’s tough composite make it resistant to scratches, etching, fading, spills and even chemicals. Contact us at Pro Floor & Tile, the tile experts, today to learn more about your slate tile options. We are based in Fergus Falls, MN. But we serve the entire surrounding area of cities in Central Minnesota like Ottertail, MN; Battle Lake, MN; Breckenridge MN; Wahpeton, ND and all the the cities in between. Contact us today!